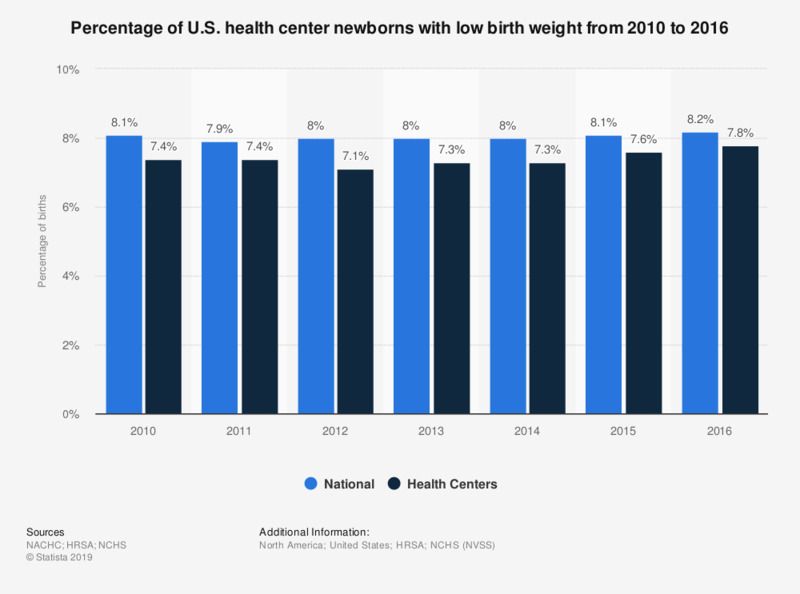 This statistic depicts the percentage of U.S. community health center newborns that had a low birth weight from 2010 to 2016. In 2010, 7.4 percent of health center babies had a low birth weight. Comparatively, the national average in 2010 was 8.1 percent.